January 25, 2017 -- After the strongest hint yet from Prime Minister Theresa May that the U.K. will look to extract itself from the European Union (EU) single market (a so-called hard Brexit), it seems right to review early speculation on the outlook for medical imaging and healthcare IT. Let's focus on three factors: the U.K. National Health Service (NHS), regulatory aspects, and the market impact. Hard Brexit has few positives for the U.K. NHS, a system that's already in some difficulty. Not only are current resources in radiology already at a breaking point, but also stricter immigration controls and a worsening economic picture could see the NHS imaging service facing a clinical brain drain. The "Brexit Means Brexit" slogan used by Prime Minister Theresa May underlines her support for a full break from the EU. The U.K. government has made clear it wants to allow current EU immigrants, a significant part of the NHS workforce, to remain after Brexit. However, little is being done in the U.K. to plug the widening shortfall in radiology consultants and trainees, as outlined by a warning from President of the Royal College of Radiologists (RCR) Dr. Nicola Strickland. Add to this the devaluation of the pound sterling over recent months, meaning that an EU immigrant's salary is worth less in their own country, and the increasing preference for U.K. trained medics to emigrate to Europe, the Middle East, and Australasia due to the deteriorating NHS situation, and the crisis will only worsen. While the details of expected tighter immigration control have not been clarified, we can only assume recruitment of new radiology talent to the NHS will be more difficult, especially if the U.K. economic situation worsens as predicted. Only with a concerted and targeted effort from the NHS and U.K. government for incentivised foreign recruitment of radiology specialists will this situation improve, but this is unlikely during complex and uncertain Brexit negotiations. Some may argue the new swathe of imaging IT being implemented as part of the 2016-2018 tender cycle can help to improve efficiency. However, the still-fragmented nature of imaging IT in the NHS, combined with contradictory IT guidance from central, regional, and hospital trust leadership, suggests such significant improvements are not feasible in time to avert further worsening of the situation. That said, do expect more focus on teleradiology within the NHS to lessen the pressure on imaging services. Impact: Significant and worsening without concerted recruitment program for international radiology specialists and teleradiology implementations. Regulations: Maintain status quo or go it alone? The details of possible regulatory changes are still uncertain given Brexit negotiations have yet to begin, but some scenarios now appear more likely. The first, a near certainty, will see the European Medicines Agency (EMA) relocate from its current base in London. A new home has yet to be decided, but bids from Germany, Sweden, Finland, the Republic of Ireland, and Spain have all been put forward. Disruption is expected, leading to a pan-European delay in authorization for new medicinal approvals around the time of relocation. Disruption could be worse in the U.K. Not only will it surrender a leading role within the organization, but also it will have to decide whether to accept EMA guidance as standard, or set up a U.K. equivalent. Hard Brexit will have a significant effect on medical device manufacturing and trade too. If the U.K. does remove itself from the European Economic Area (EEA), and does not secure a European Free Trade Association (EFTA) deal (as Switzerland has), it will need to decide how to manage standardization for imported and exported medical imaging products, e.g., the CE Mark. If it decides to keep CE standards but takes no part of the European Committee for Standardisation (CEN), the U.K. will also have little say on future device regulation for U.K. manufactured devices. Alternatively, the government could set up a new U.K.-based regulatory system for device standardization, which will form relationships with Europe and other trading partners via the World Trade Organisation (WTO). If this is the case, the new U.K. regulatory body may decide to unilaterally stick with CE standards to ease transition, then over time add its own standards for some products, especially high-risk devices. Given that a full U.K. extraction from the European economic union looks likely today, the latter scenario of a U.K.-based regulatory body is more likely. In the midterm post negotiations, this could result in disruption to new product entry in both Europe and the U.K., and may also slow adoption of advanced yet "higher-risk" technologies. Impact: Uncertainty in short to midterm, especially for new product entries in 2019-2022 if new U.K. regulatory body established. Hard Brexit also will have significant repercussions for both imaging hardware and imaging IT products in the U.K. market. While at present it is very much business as usual, worsening U.K. economic performance is the most likely scenario for 2017-2019 once Article 50 is triggered and Brexit negotiations begin. At best, NHS procurement will remain on par with today, but further financial tightening and lengthening of tender cycles should be expected. The private sector, often an entry point for international suppliers to get a foothold in the U.K., could also see a drop in patient demand if out-of-pocket health spending is hit. The poor performance of the pound will affect pricing of imaging products imported into the U.K. With few imaging modalities manufactured in the U.K., the relative expense of imaging equipment to U.K. providers will rise. This can have one of two effects: harder bargaining and scrutiny in procurement with greater focus on cost over quality, or a wholesale change in business model toward less capital-intensive models. While the second option is a better one for both quality of services and value over the longer term, shifting the NHS from capital-heavy procurement is unlikely without some serious legislative heavy lifting. In healthcare IT, international firms will find it harder to compete with local U.K. firms due to pricing and currency fluctuations, changing the balance between direct and reseller sales for international suppliers toward the third-party market. Impact: Midlevel market risk 2017-2020, with lengthening tender cycles and price challenges especially; beyond 2020 heavily dependent on outcome of regulatory changes and speed of U.K. economic recovery. There appears to be few positives from the current "hard" approach to Brexit for both health providers and the market in the U.K., as well as more widespread regulatory and trade disruption for European suppliers. 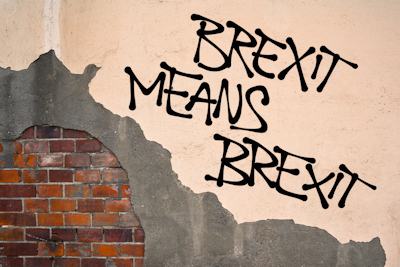 Not all the above may happen, of course, but there are few scenarios where the benefits of hard Brexit for the imaging sector outweigh the negatives. The current trajectory suggests a very challenging outlook for one of Europe's largest radiology markets for the foreseeable future. 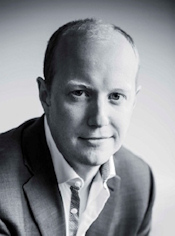 Stephen Holloway is principal analyst and company director at Signify Research (www.signifyresearch.net), a health tech, market-intelligence firm based in Cranfield, U.K.